The Ministry of the Interior has withdrawn thousands of driving licenses from expatriates who have changed their profession and obtained driving licenses in illegal ways, local Arabic newspaper reported. The report added that more licenses will be withdrawn for the same reasons. Report also added that Ministry of Interior’s employees who are involved in the corrupt practices will be referred to Public Prosecution. 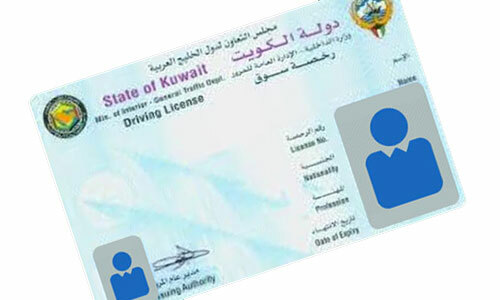 To obtain driving license, expats have to go through lengthy process and those who meet salary requirement of KD 600, type of profession, graduation degree and residence in Kuwait for 2 yrs only will be able to apply for driving license. can anyone tell exactly before 2013 or 2014 December on wards these rules applies for expats to meet with the condition if designation/salary changes for cancelling driving licenses? because i made my license in january 2014. Please shift Company staff /worker from Expat Residential areas. Now areas like Mangaf , Fahaheel, Mabulla , Abbasiya, Salmiya , 80 percent of flats are occupied by Companies. If the govt. develops Company quarters for workers with all facilities, then the crowd will be less on road. Hence its necessary to check all categories from I.T.I. , Diploma & Engineering. First think about expats as they are poor pls allow them to live free... Give licence for a family those who have childrens. As we have family we suffer too much for going to school make them akkama. It is so far and no public transport available to go there. And if we go hospitals and any outside areas like beach and other areas there is no public transport.. Taxi fare are very high.. Pls make affordable price are allow Licence for per family one licence those who have children rather than giving licence for more person in a family. Here expat famiy can''t enjoy their life because of this. If we go to any farm we have to give 5 kd for taxi and returning time we don''t find taxi from that area. My humble request is to allow licence for couple those who have childrens. Jai Tamil Nadu should goes to hatred Nadu for begging his daily bread.. Kuwait is not a place to hatred any of the particular communities or any people from any of the states. Hatred Nadu should be a declared as a country for all bathless non hygineic idiots. @indian , well said . Actually there is no intelligence behind this stupid logic to obtain licenses . These laws have been created by this who haven’t seen the face of school in their whole life . Driving and having a cat is a basic right and necessity these days, but these stupid and foolish brains have no capabilities to understand about human and humility. Expats of course don’t drive for fun instead it is their necessity. God Bless Their Ein Stienic brain and ideas . @Yuni, instead of suggesting non sense solutions for license please correct your spelling first it is “License” not “licence”. I guess you haven’t finish your high school even, forget the University Degree . Curbing traffic on the road to cancel licence is not the solution but to stop people by buying numbers of cars. At time there was restirctions who can apply for licences like those earning kd 600 salary which was very stupid thing and you removed according to your taste and now want to bring again. This means you dont have any strategy how to curb less traffic on the road. Stop mutiple cars owners to drive on the road, improve transport systems, make taxi service cheap which you can do petrol is cheap in your country, and there are many other things which you dont use your head and just ban licences and keep demanding for salary kd 600. Very stupid idea. Heavy trailor crane on road free of cost. & Damaging the road.. once this come 50percent vehicle will. Vanish from road. Jai Tamil Nadu is my style! Pls try to cancel old licence those who are taken with old salary and other non eligible professions. Also cancel for women those husbands have licence. This will definitely reduce traffic and give licence only for a Head in a family. @Manikandan Venkatesan, This is the second time I`m saying the person hiding behind Tamil Names., Tamil people dont use Jai Tamil Nadu.. and we dont spread hatred. Better season yourself and start to act with some social responsibilty and show your real identity. Masking identity is not right. @Indian : Sincere advise for you to move to Singapore. @Manikandan Venkatesan : Most fake certificates are from TN / Andhra / Telengana. Check facts before blaming others. What is the intelligence behind graduation, salary and number of years in kuwait to do with obtaining a driving license? A driving license should be given irrespective of all this. Its all about your driving skills. When they follow western countries for all their laws, why dont they follow them for driving license? Singapore is a country similar to Kuwait in terms of area etc. Its also a city state. Why dont they see how Singapore manages their traffic and have different modes of transport like metro etc. This is very strange. Again there is more practical way to reduce traffic. Why dont they ban the driver from driving for X number of years if found involved in accidents. In that way number of accidents also will reduce and open the driving license to whoever can drive irrespective of profession or education. Education has nothing to do with driving. Good decision ! Long live Kuwait Traffic dept.At last people submitting fake certificate will get into trouble. Coconuts will be trapped. Jai Tamil Nadu! Imagine if UAE followed the same line of action being followed here... would it be competing with Europe and USA as a business Hub and a global tourist Destination ? hope all will wake up in time and save our dear Kuwait.. They should release list in their website. Otherwise someone unknowingly caught while driving and get deported.